Can you believe we are in the first week of May?! April was a blur and I am still not completely unpacked from our move. Our May weekends are filling up fast! With so many events, from graduations, birthday parties, and weddings, the calendar fills so quickly. I secretly love taking Sutton along with us to all these fun events. Family and friends always love seeing Sutton and it’s always so fun to get her dressed up. 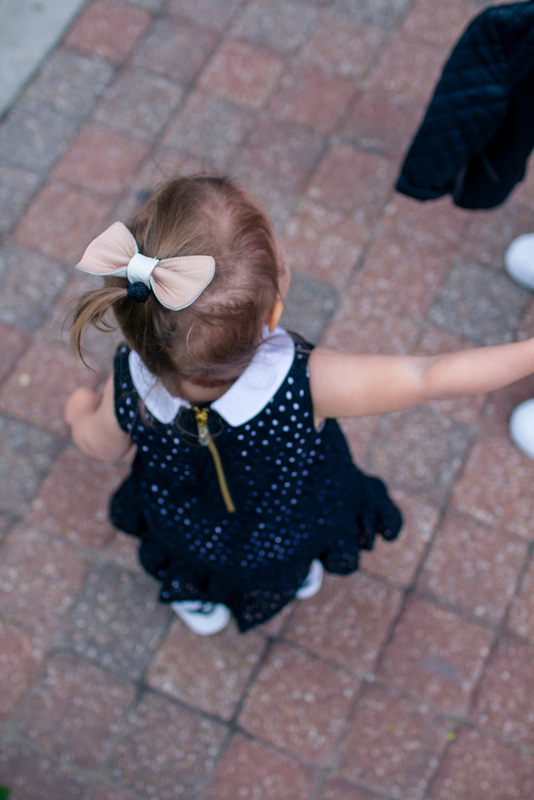 Nordstrom has always been my go-to place for shopping for the family, including Sutton. It is so convenient to find everything in one place for the whole family and I am never disappointed at the quality and selection. The kids section has so many of my favorite brands. Sutton’s Hunter boots are from Nordstrom and, of course, mine are as well. When I saw these kid’s Adidas superstars online, I about died. I had to get her a pair to match me. 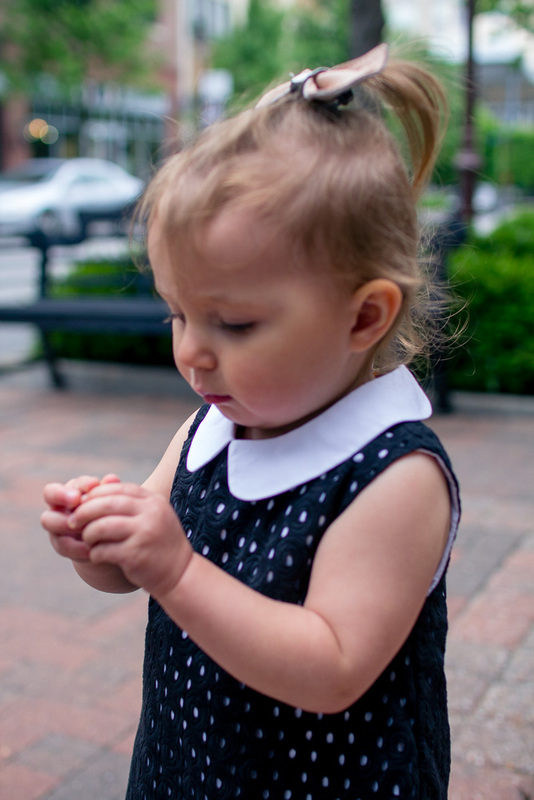 This Kate Spade dress she is wearing will be worn all summer long to our fun events and it’s absolutely adorable with its peter pan collar and eyelet. I feel like I can justify spending a little more on a dress like this when she will be wearing it so often. 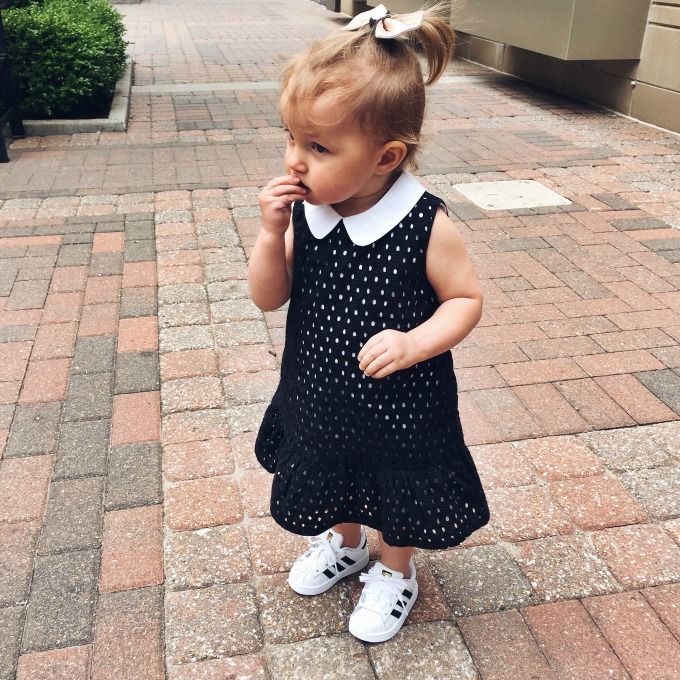 Shopping for Sutton is my favorite and I am so excited to share my favorites from Nordstrom those little ones. 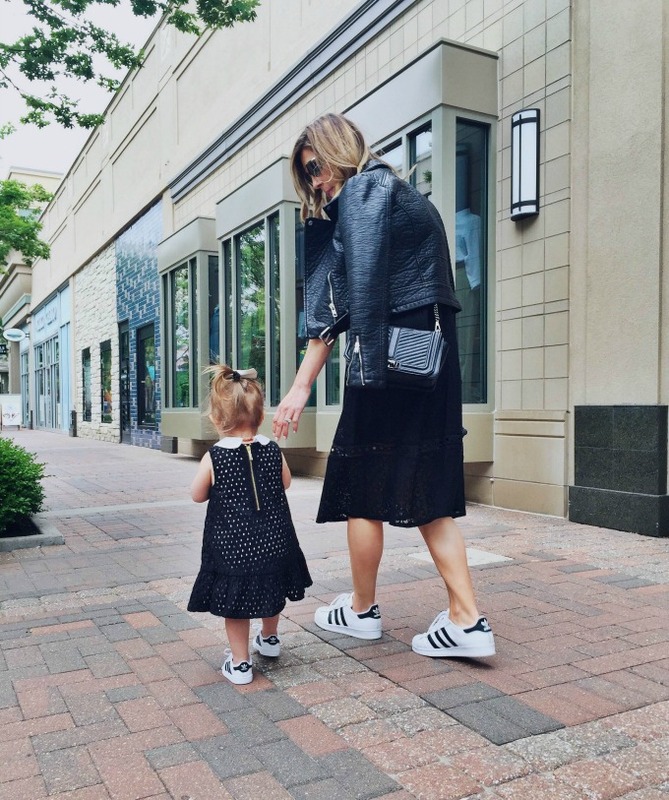 So I wanted to share a few of my favorites from Nordstrom for your little one. These “jean looking” leggings go with almost every top Sutton owns. They are super stretch and easy to put on. This Embroidered Sleeveless Dress I saw in store and it’s the cutest. A mini denim jacket over it for the cooler summer days. Sutton has this mini jean jacket and has already worn it so much. It’s so adorable and I love to pop the collar, it kills me. Freshly Picked is another brand we love. Sutton owns a bunch of pairs and these are worn daily. So easy to slip on and so so cute on. Rompers are adorable and your mini in a romper is even more adorable. This one is darling. These headbands are one of the only ones Sutton will keep on her head. The band is super soft and she doesn’t seem to notice them. If I bought Sutton these Minnie & Mickey Melissa shoes, I don’t think she would ever take them off. They are adorable. Currently in my shopping cart.